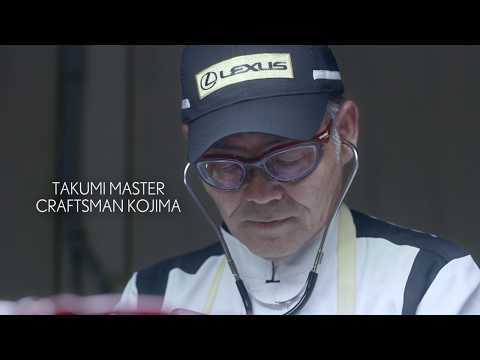 After 60,000 hours of practice and training Lexus Takumi Master Craftsmen develop almost superhuman senses. Sight that can see marks invisible to the untrained eye, hearing that can tune an engine with surgical precision and a sense of touch that can detect imperfections a fraction of a millimeter. With 60,000 hours of experience Takumi Master Craftsman Kojima has developed superhuman hearing. Tuning every engine with surgical precision. Every Lexus engine is put through rigorous inspection to ensure an unrivaled driving experience. The human senses are instrumental to this process; skilled craftsmen, who have trained for five years, pour over each engine personally. They are looking, touching and listening to seek out flaws that untrained eyes would never notice. They work through 250 inspection tasks to make sure it hums perfectly. If abnormalities are discovered a thorough test with a stethoscope is carried out by Takumi Master Kojima, who has developed superhuman skills after thirty years of experience. 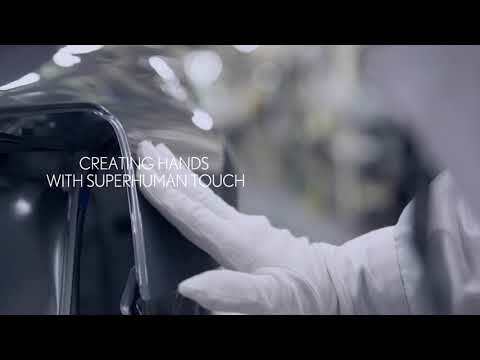 After 60,000 hours of experience Takumi Master Craftsman Oiwa has developed a superhuman sense of touch that detects microscopic imperfections in body panels. In the Lexus factory even a microscopic imperfection is considered unacceptable. Nothing less than perfect will leave the production line. Craftsmen are able to use their super-trained sense of touch to check for tiny defects in the body work. This is a highly trained skill that takes at least 10 years of experience to develop and is proven in the passing of a specific exam. After 60,000 hours experience Takumi Master Craftsman Tanaka has developed the ability to see flaws in paintwork not visible to the untrained eye. Tanaka and his team use their superhuman sight in combination with a number of specific lighting systems to ensure that absolutely no mark goes unnoticed. The paint inspection line light tunnel is a total of 90 meters long. One stage of this paint inspection uses red, green, and blue colored lights. Depending on the colors of the car and what the team are looking for, they can use different lighting to aid them. The final inspection of the paintwork is a process that can only be completed with a human eye. It takes 10,000 hours to become an expert, 60,000 to become a Takumi master craftsman. Will their craft survive as AI reaches beyond human limits?